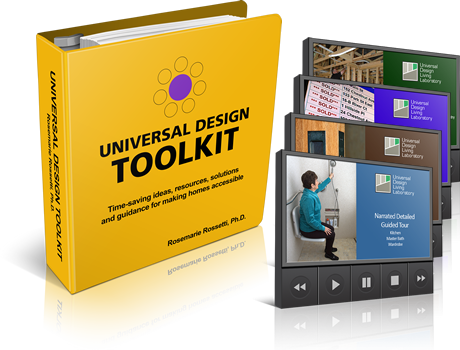 Member discount: Universal Design Toolkit for half off! Registration is now open for our annual conference. 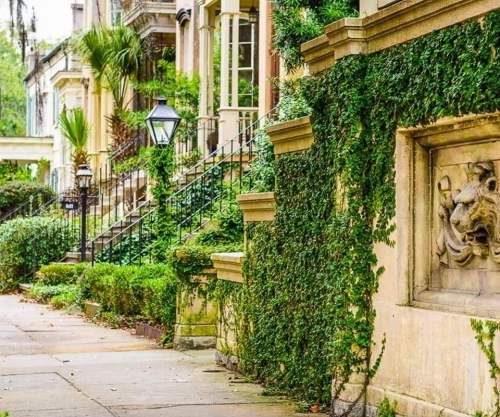 The conference is April 30 - May 2 in beautiful Savannah, Ga. Register early, last year our room block sold out! Click here for the conference website. Promoted by Benjamin Moore & Co.
HAVE YOU BEEN PUBLISHED or WON A DESIGN AWARD? New York designer Julie Schuster was recently featured in a podcast interview for ForbesBooks Radio, in which she talks about how she integrates three important design practices as an interior designer, a certified feng shui practitioner and a certified living in place space professional. You can hear the interview here. She was also showcased in an article on Culture Trip entitled, "The One Change to Make in Your Home for the Biggest Impact," in which she offers insight and tips on decluttering. 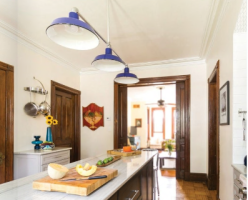 Designer Barbara Roth is a sucker for renovating an old Victorian house, so it was lucky that a couple in Beacon, N.Y. - the wife a dear friend of hers - owned such a home and were in need of a new kitchen. The results can been seen in this article, from the January 2018 edition of Kitchen & Bath Business. The Imagine Lab is a unique facility in Stamford, Connecticut that combines elite real estate training with state-of-the-art technology and client-based hospitality education. Designed by Beth Krupa, a three-time nationally awarded interior designer, the Lab is crafted with dynamic environments for creativity, focus, and connection. It's more than just the best place to work; it is a movement towards humanizing work. Designed with a real estate office of the future in mind, the space looks to empower agents to better connect to their clients by showcasing home design concepts with education. See more about the Imagine Lab here. On Oct. 10, IDS Long Island held its 2nd annual Swatched2017 event at the beautiful Zicana stone showroom in Westbury, New York. This was a fun filled evening where professional and student interior designers competed before a panel of celebrity judges to create a design board in just one hour. Nichole Garofalo from the Design Program at Molloy College was chosen as the student winner. This was the second consecutive year that a student from the IDS Molloy Student Chapter won in this category. A former member of the chapter, Ellen Miller, took the first prize in the designer category. "This was an exciting evening, not only because of the winners, but because their was such a good turnout of present and former Molloy students who competed,” said Marie Byrne, Faculty Adviser, IDS Molloy Student Chapter. At The Tub Studio, we try to think outside the box when it comes to the presentation of our high quality, thick acrylic transitional and vintage bathtubs. We only offer tub packages that are stimulating, innovative and beautiful. From gilding to specialized finishing, we think we have what you need. Learn how you can make an IMPACT in your community through our new charitable design initiative #idsIMPACT. We are pleased to have Make-A-Wish and Dwell with Dignity as collaborating organizations of this program. Click here to see IDS members who are already making an IMPACT! The IDS Molloy Student Chapter recently completed the dining room at a homeless shelter for The INN (Interfaith Nutrition Network). Each family shares one room, making the common areas important. 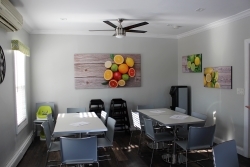 The dining room was dark, dreary and not user friendly. At the ribbon cutting ceremony, the team was informed that “everyone, including the staff, love how the space has turned out and that it now feels more like a home.” The team hopes that the functional, happy, clean and light atmosphere will brighten their days and help give hope for the future. It was truly a labor of love. All IDS members receive a complementary subscription to Window Fashion Vision. Click here to subscribe. A compelling look at how and why flame retardant chemicals found their way into home furnishings products. 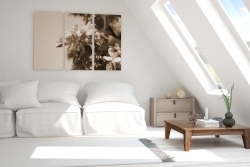 Learn from Barry Cik, a forensic toxicologist and founder of Naturepedic Mattress why it matters, what current regulations dictate, and what your choices are for sustaining a healthy future with your furnishings choices. 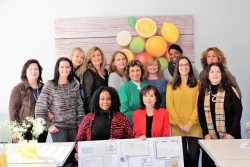 The Interior Design Society has joined The Interior Design Continuing Education Council (IDCEC), effective Jan. 1. Click here to learn more. As of January 1, 2017, IDS Associate members must earn a minimum of 0.4 (4 hours) approved continuing education units (CEU) each year. Please make note of the following helpful information regarding CEUs and CEU filing to maintain your Associatel level membership in IDS. IDS bylaws and policies require Professional and Associate members to meet the continuing education requirement. The IDS continuing education requirement is separate from any mandated continuing education requirement in your local jurisdiction. Check with your state regulatory board for requirements. IDS members must utilize the Interior Design Continuing Education Council (IDCEC) registry to file CEUs. Each IDS member must create a free account through IDCEC. Once you have created your IDCEC account, you will receive a unique IDCEC number to login into the IDCEC website (your IDCEC number is different than your IDS member number). The IDCEC user registry allows you to upload and track your continuing education activity as well as store a record for you under your account. Check your IDCEC account regularly to ensure your records are up-to-date. At the end of each CEU cycle, you will be required to submit your IDCEC report to the IDS National office to verify that you have fulfilled your CEU requirement. IDS may grant an adjustment to the requirement for individuals experiencing poor health, certified by a physician; a specific physical or mental disability, certified by an appropriate health care professional; extended duty with the armed forces; or for extreme hardship, which, in the board’s judgment, makes it impossible for the member to comply. Requests for an adjustment to the continuing education requirement must be made at least two months (by October 30) prior to the end of the current reporting period. At the end of a reporting period, members who have failed to meet the CEU requirements will be subject to a non-compliance fee ($10 per CEU). Any member who fails to comply with the continuing education requirement, including payment of the noncompliance fee, may be subject to devaluation of Professional membership. The Interior Design Society has announced that the exclusive IDS Buyers’ Guide — the premier resource of relevant products and services for interior design professionals — is now available at the IDS website at www.interiordesignsociety.org . If your company or business has not yet taken advantage of this exceptional opportunity to highlight your products and services in the Guide, it is not too late! To learn more about advertising your products or services in this exclusive Guide, please email ids-advertise@svmmedia.com or click here. Please call IDS Membership Manager, Della Swider at 336-884-4437 ext. 223 for information. If you are an active member of IDS National, join our closed Facebook group to connect with members across the country! Click here to join the group. Concrete Decor magazine, the concrete industry's premier magazine for all things decorative concrete is offering IDS members the chance to subscribe free to their magazine. Click here to read their current issue that features an article about how decorative concrete is carving its way into the design community. If you are interested in obtaining a membership certificate or replacement membership card, please email idsbenefits@interiordesignsociety.org or call 336-884-4437 ext. 223 (please note for all replacement membership cards, there will be a $10 fee payable in advance for each replacement card ordered). To view benefits exclusively available to IDS members, visit the Member Benefits page on the IDS National website. Members must log in on the IDS website in order to take advantage of available discounts. MISSED AN ISSUE OF IDS HOT TOPICS? VISIT AND SEARCH THE ARCHIVE TODAY.